While Kids Village gets a great reputation for our beautiful village atmosphere, the school is about so much more than just its good looks. Each piece of our curriculum has been carefully planned and analyzed to ensure it’s the best possible learning experience we can offer. 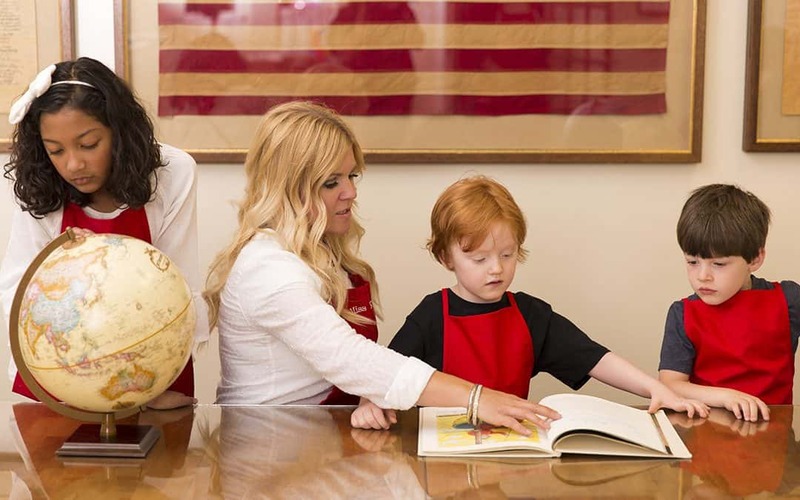 This dedication to excellence in our teaching methods is a huge reason we’ve been named the Best Private Preschool in Utah for the past 4 years by Best of State! One of the biggest differences between Kids Village and traditional preschool programs is our five-senses learning. We are committed to teaching every lesson in a way that utilizes all five senses. This is important to us at Kids Village because we know that no two children are completely alike. This is true in their personalities as well as their learning styles. Some children learn best through listening and music, while others learn best through writing or application. By utilizing all five senses in each of our lessons, we’re ensuring each child gets the opportunity to learn in a way easiest for him or her while ensuring all students get a fully immersive educational experience. A good example of how we apply this is with the story The Little Red Hen. Not only do we tell the story and discuss its meaning, we also feel the wheat, grind it into flour, and bake it into bread that we can share with our friends and family. Next time your chid comes home from school, take a moment to ask them about something they played with using their hands today, or if they learned something through song. Kids Village uses Saxon Learning for our reading and mathematics. Saxon Curriculum has been among the top 3 curriculums in the nation for the past 30 years. The major premise of this curriculum is review and incremental learning. Students review past lessons and use that information to build upon. This method of teaching allows students to more easily and naturally build connections between what they already know and what they’re currently learning. One of the most standout features of Kids Village Preschool is our workshops. These workshops were the driving force behind Kids Village Founder Ann Whittaker’s drive to create Kids Village. When Ann was raising her children, she noticed there was a huge void in programs that would allow her children to explore their talents and passions. It seemed that unless your child was naturally gifted in academics or sports there were few programs that would help them to excel. Ann vowed to develop a program that would help every child with any talents, passions, and academic ability find those talents and more explore their place in the world in a more wholesome, positive environment. By doing this, Ann believed, she could not only build a child’s confidence and genuine passion for learning and exploration, but could elevate their faith in themselves and thereby better empower them for success in their lives. Kids Village achieves this not only by maintaining a positive learning environment, but also by exploring lifelong skills that might otherwise be overlooked in traditional preschool programs. This includes workshops such as nutrition, foreign language, science, fitness, music, geography, and drama. For more information about Kids Village curriculum or workshops, click here.